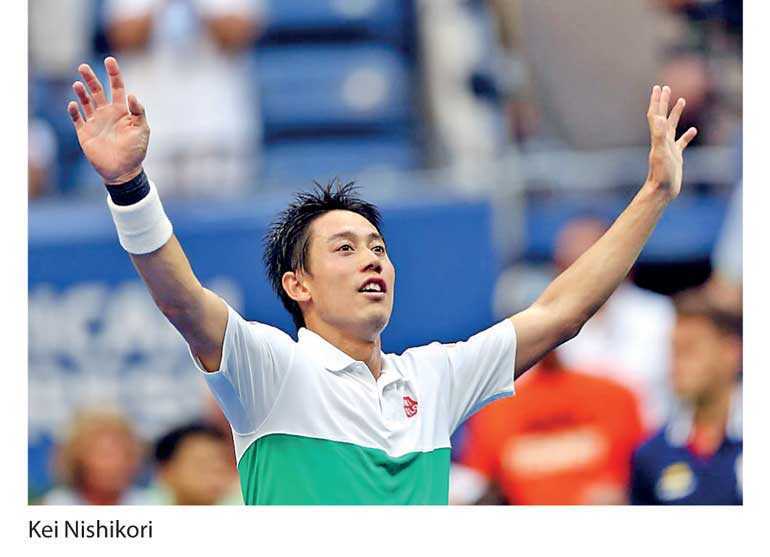 New York (Reuters): Kei Nishikori advanced to the US Open semi-finals on Wednesday with a grinding 2-6 6-4 7-6(5) 4-6-6-4 win over Marin Cilic, gaining a small measure of revenge on the man who crushed his grand slam dream in the 2014 final. Cilic has made two grand slam finals since but Nishikori has never been back and will now take on either twice US Open champion Novak Djokovic or unseeded Australian John Millman for a spot in Sunday’s final. It has already been a successful return to Flushing Meadows for Nishikori who missed the US Open last year with a wrist injury that saw his ranking plunge and put him on the comeback trail that included playing Challenger-level tournaments.